← Foresight Linux, Distro of the year! Ashlyn, my 5 soon to be 6 year old, just did a very good deed. She hasn’t had a hair cut in over 2 years, saving up to donate her hair. I am so proud of her, she made the decision to do it herself. 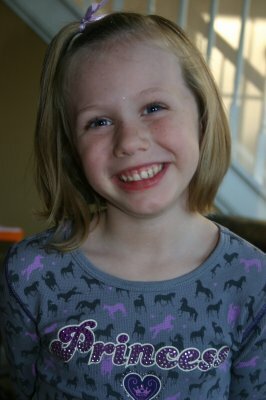 This week she got 10 inches cut off to donate to Children with Hair Loss. CHWL is a great organization, they use the hair to cover the heads of children that have lost their hair for medical reasons. This entry was posted in Family and tagged ashlyn, charity, Family. Bookmark the permalink.